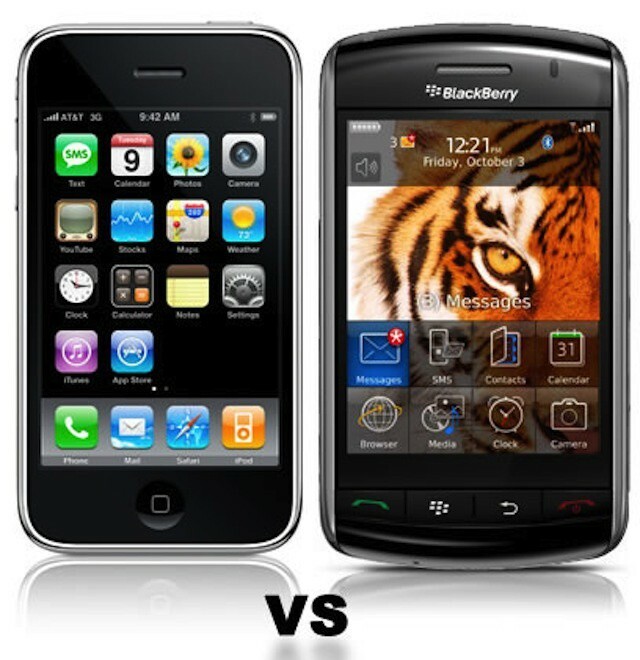 If RIM falters, iPhone/iPad pilot projects become the contingency plans. Enterprise customers form the backbone of RIM. Many of them are now preparing contingency plans in case the BlackBerry maker goes out of business or is bought by another technology company. Many enterprises first began thinking about contingency plans in the wake of RIM’s large-scale outages last year. What those contingency plans look like varies. Some companies are soliciting advice from leaders in the mobile management like MobileIron. Some are revisiting their agreements with RIM. Others have already begun migrations away from the BlackBerry. Analyst Maribel Lopez pointed out recently that RIM’s services going dark is a real possibility. In the past three months there’s been a lot of concern that the BlackBerry platform won’t be around in the future. It’s not unheard of for a large phone manufacturer to go out of business. RIM suddenly falling to pieces completely isn’t the only concern, however. Although that is probably the worst-case scenario, RIM could also suffer a major outage that might last longer after staffing cuts. Another possibility is that RIM might be bought out. If that happens, there are any number of possibilities that could happen to the company’s enterprise services and its product line-up. Enterprise service could be disrupted, discontinued, redesigned for alternative functionality, or even be opened up to other platforms. Needless to say, that has many IT leaders in organizations with large BlackBerry deployments nervous. One common strategy for enterprise customers is to focus on expanding their existing base of mobile devices. Implementing support for iPhones and/or iPads offers an interesting fallback position. It doesn’t even matter if those iOS devices are currently deployed alongside BlackBerry handsets or are deployed to a minority of users within a company. If a major outage or disruption in BlackBerry service occurs, there is a functional alternative complete with a mobile management infrastructure in place. That infrastructure may need to scale up pretty quickly in the event of a worst-case scenario, but it is there it is a proven system. While replacing hundreds or even thousands of BlackBerries with iPhones might not be cheap, the process could go forward with relative ease and speed. Some companies are overtly beginning a migration away from the BlackBerry. The hope there is that RIM will hold itself together until that migration is complete. Again, if needed, there is a management system already in place. That’s a logical and response and, as I said yesterday, it’s the response that I would take if I was leading an IT department heavily invested in BlackBerry devices. Unfortunately, this is more bad news for RIM. While these may be contingency plans, they are also transition plans to alternate mobile platforms – iOS and/or Android. More importantly, they’re transition plans to platforms that are much more popular with users. As a result, it isn’t hard to go from contingency to strategic migration.